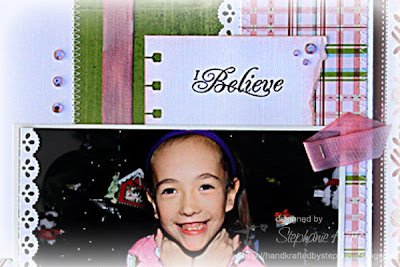 Today I have a 12" x 12" scrapbook page to show you. I've been wanting to scrapbook this photo of Sabrina from last Christmas, so this was a perfect opportunity to do so! She had just finished watching the Polar Express movie and wanted me to take some photos of her under the tree, so she started posing for me. I was happy to oblige.. : ) I used JB-09255 Christmas Nested Sentiments & Verse for my title, "I Believe" (detail shot below). I pulled out some coordinating products from Basic Grey's Eskimo Kisses collection as the colors matched her Snoopy pjs just perfectly! 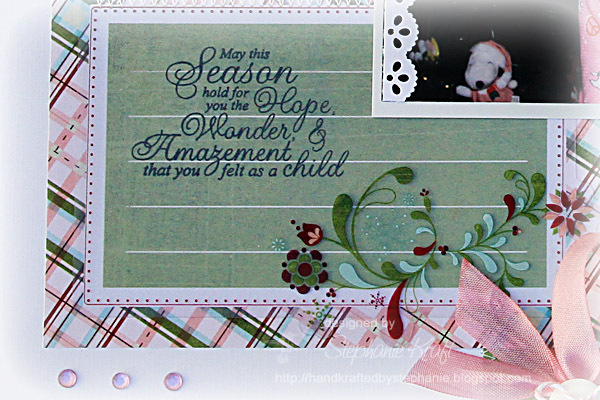 I stamped the sentiment (from the same set) onto a journaling card and covered it with the matching acetate piece. I used my Copic R83 sketch marker to add some color to some white seam binding ribbon and added pink rhinestones around the layout. Finally, here's a look at all of the sentiments from the set I used today, Christmas Nested Sentiments & Verse. As you can see, they are perfect for both card making and scrapbooking! Accessories: Basic Grey Eskimo Kisses Take Note journaling card, button; Divine Twine, Seam binding ribbon, Rhinestones (Pizazz Aplenty), Sewing machine and white thread. Terrific layout! Love the colors especially with such adorable pics! Beautiful page LO!! I am sure you and your daughter will look back on this with joy for many years to come. What a lovely page! Beautiful colors and paper patterns. Love the flourish. Such a cute photo, too! Sabrina is adorable and I love this layout. What a great color combo! Awe! Such a darling LO Stephanie! Sabrina looks so beautiful! Love the pink & green color combo & lovely sentiments! Simply precious!!! Love the PINK! Sweet layout, and I love the soft pink! It was so much fun hopping with you all today! What a darling! She looks so sweet in her snoopy pj's, and I love the papers and embellishments you framed her picture with! Perfect supporting details for this great memory! I just love this sentiment! Great page! Stephanie, your layout is beautiful and that sentiment was just perfect! I was really happy to get to be a part of this hop! 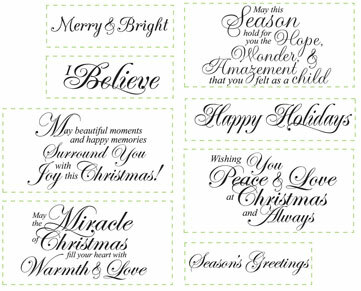 Adorable, love the flourishes on the bottom! What an adorable LO! The sentiment goes so perfectly with it and I love the colours and design. Great layout! Beautiful photo and page. What a wonderful picture of your daughter and the papers are the perfect choice to go with her sweet pajamas. Lovely layout! Stephanie, your layout is Beautiful!! Very pretty papers and Adorable photo! !